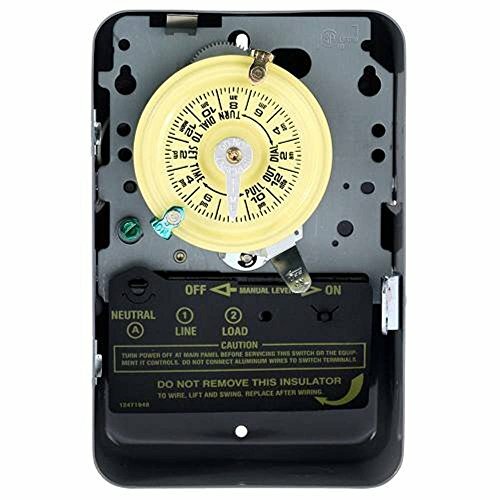 The heavy duty mechanical time switch is designed for industrial, commercial and residential applications. Features a high horsepower rating that is ideal for loads up to 40 amps resistive from 125-volts and direct 24-hour time switch control of most loads. All models are equipped with one "ON" and one "OFF" tripper. The unit contains a 1-circuit standard On/Off Single Pole Single Throw 40 Amps, 4000 watt capacity, 125 volts. If you have any questions about this product by Intermatic, contact us by completing and submitting the form below. If you are looking for a specif part number, please include it with your message.